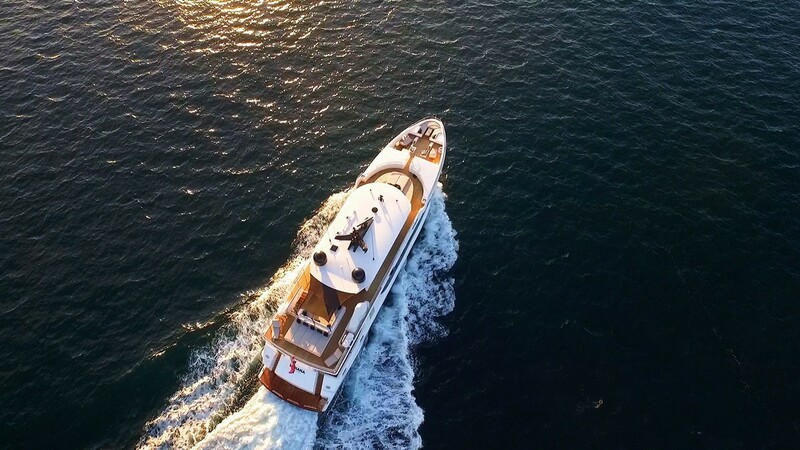 The 36m luxury Expedition motor yacht SAHANA (ex Eendracht) was built by Oceanfast in 2008 and refitted in 2015. 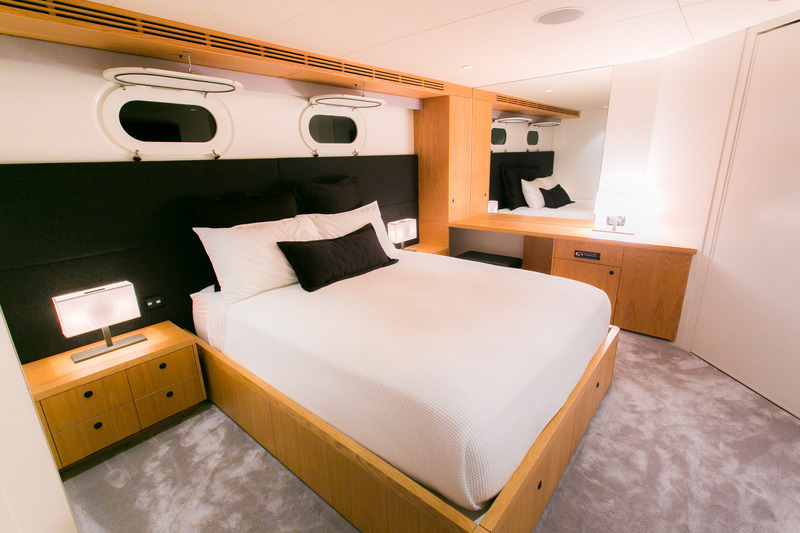 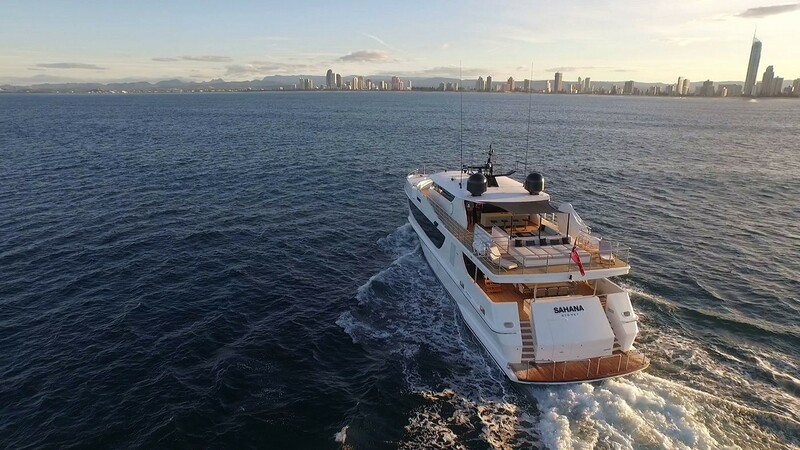 With four luxurious cabins, she can comfortably accommodate eight charter guests, in 4 cabins. 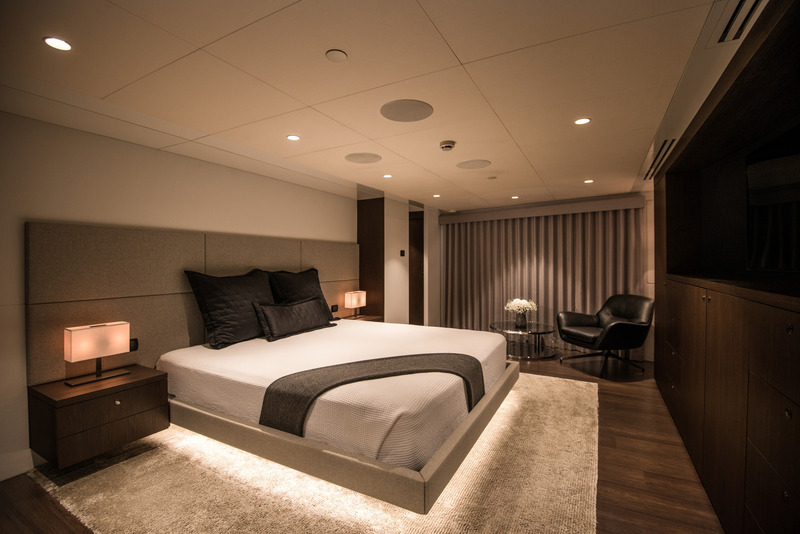 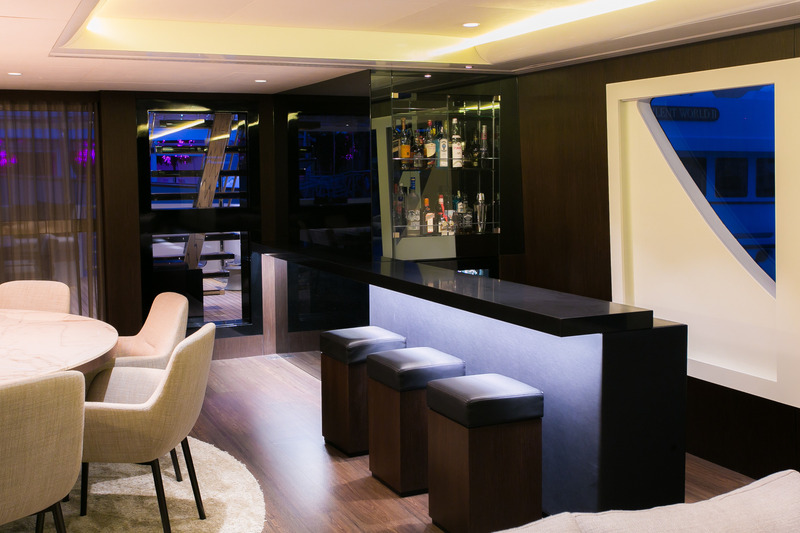 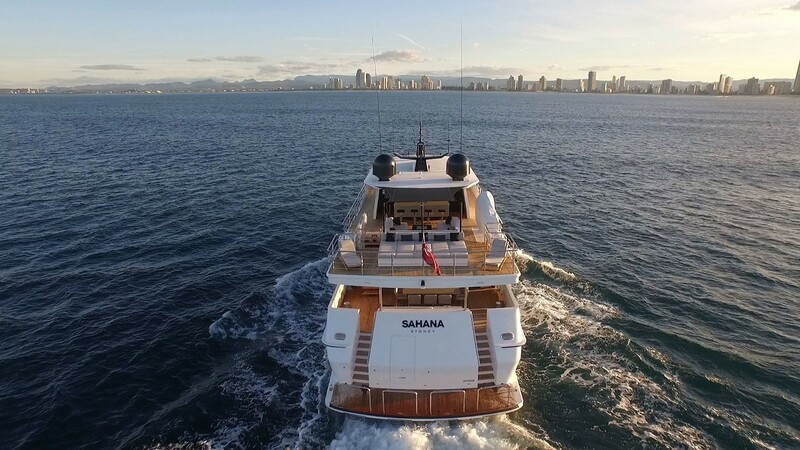 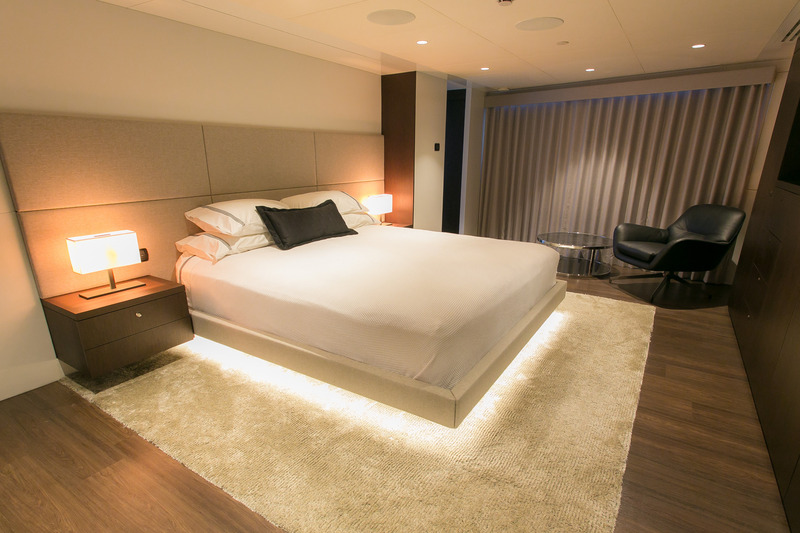 Motor Yacht SAHANA’s interior is finished in a contemporary and modern decor with clean and simple lines. 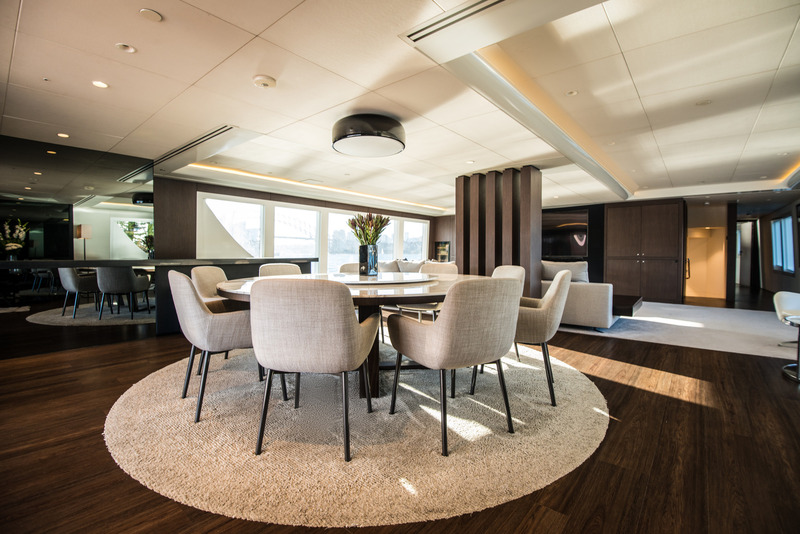 The salon and dining is an open plan featuring a generous lounge with plush sofa occasional chairs and coffee table. 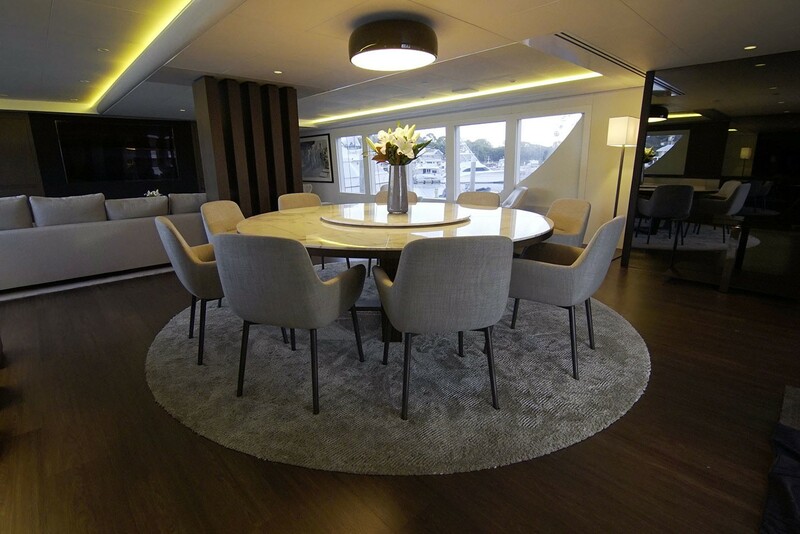 A circular formal dining table seats 8 guests in style, while to port is a complete wet bar, perfect for socializing. 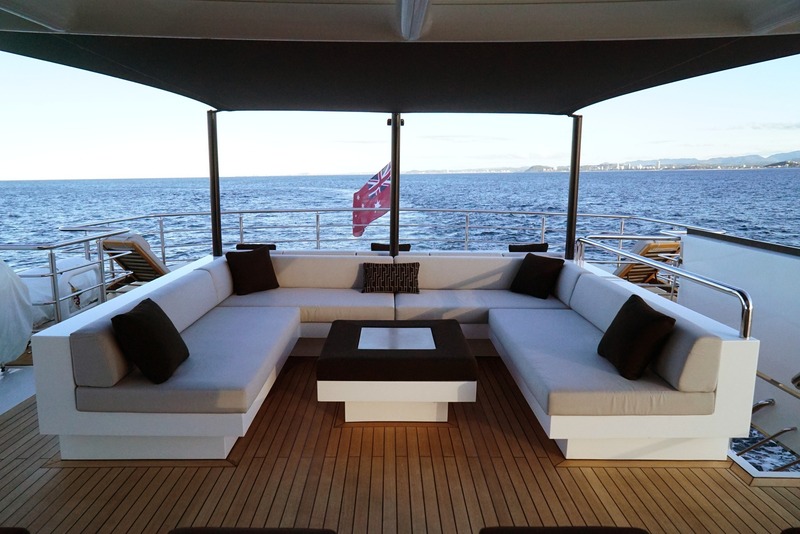 On the main deck forward of the salon and dining is the master suite. 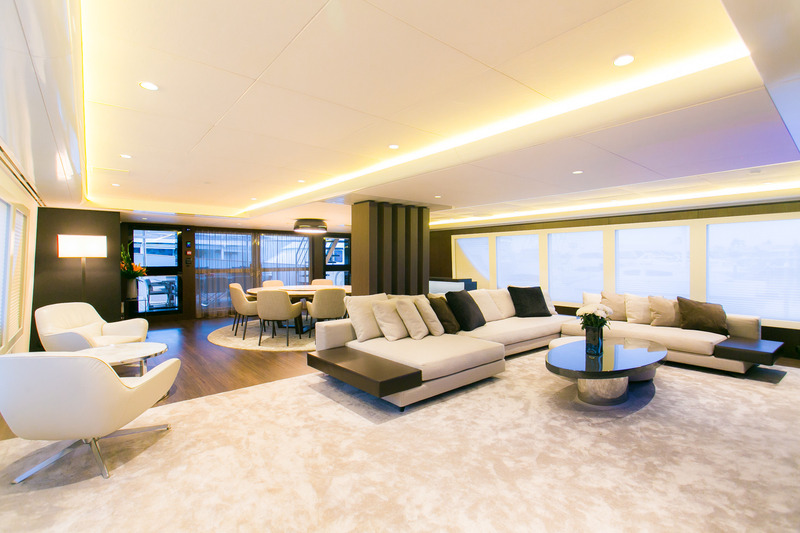 On the lower deck are 3 further guest cabins. 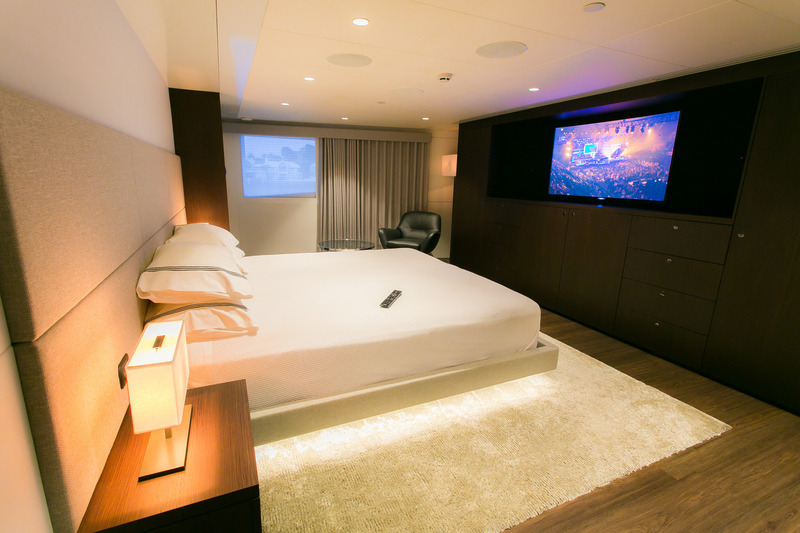 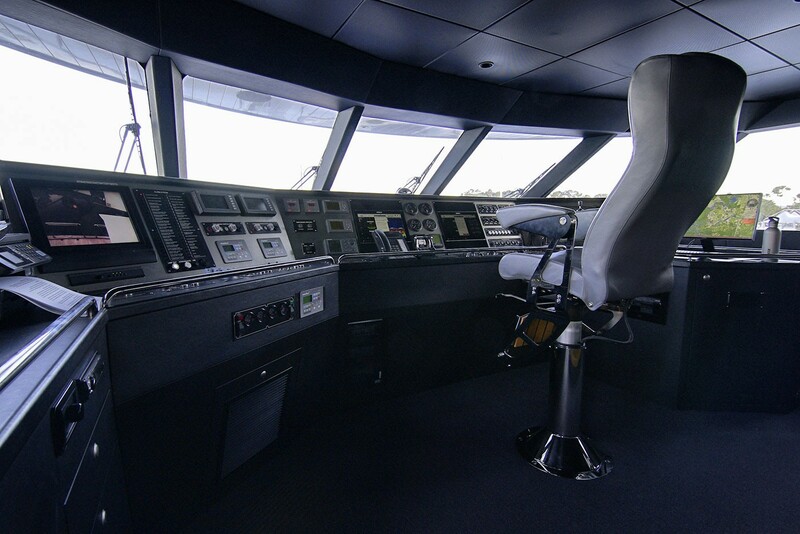 The main salon and each cabin are equipped with LCD TV screens, DVD, CD and MP3 facilities. 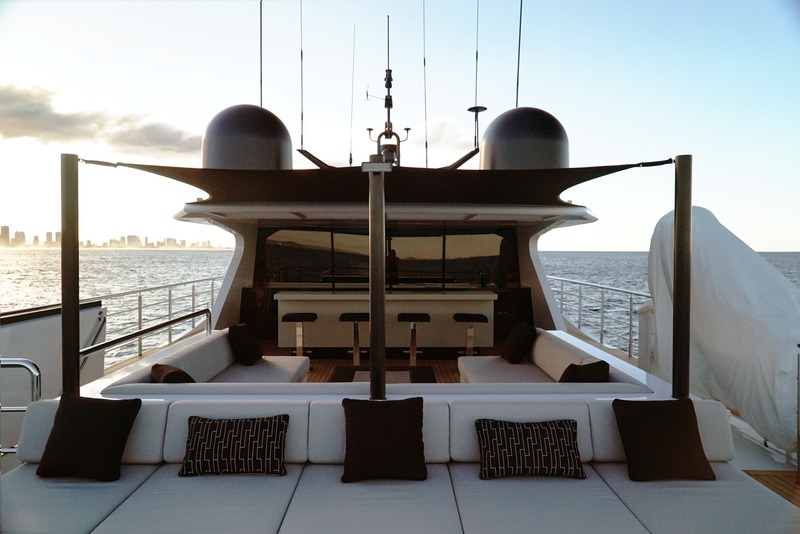 She also has WIFI internet available throughout. 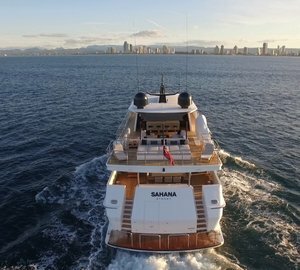 Exterior living aboard the SAHANA is plentiful. 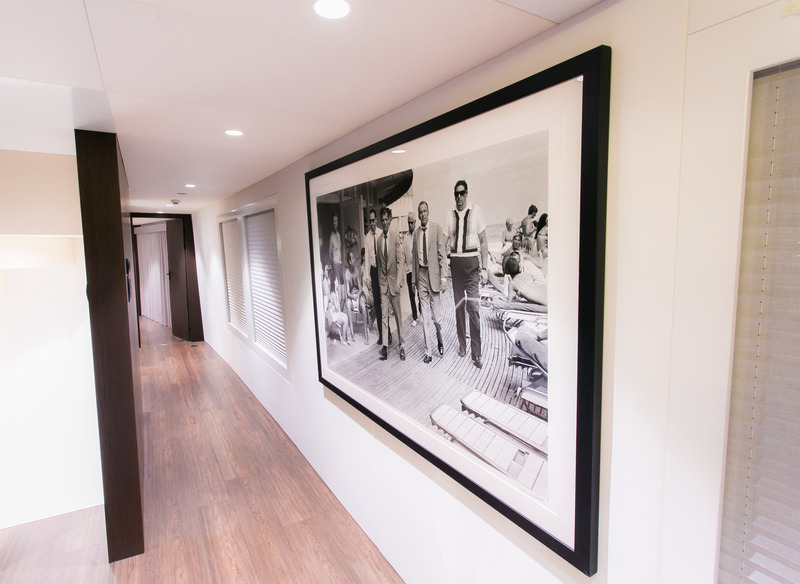 Adjacent to the salon through wide sliding glass doors is the shaded aft deck and an alfresco dining option. 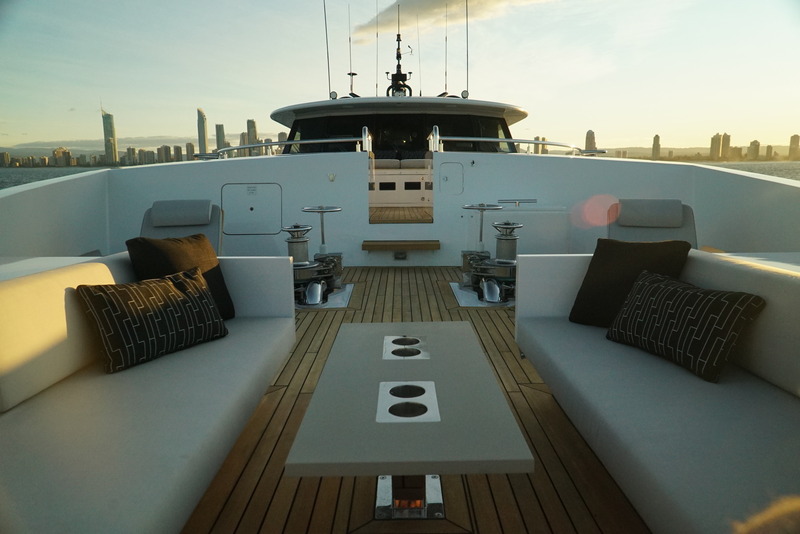 An upper deck boasts a fabulous seating area, coffee table, chaise lounges, large sunpads, optional shade and wet bar with full entertainment systems. 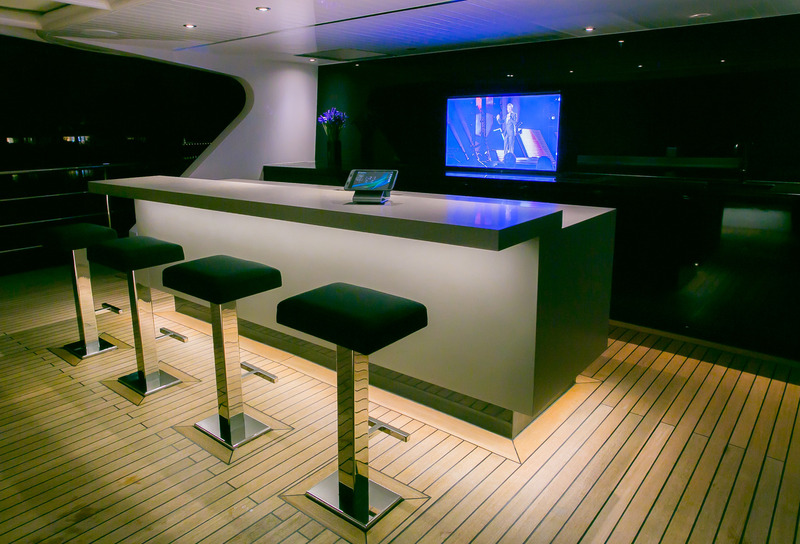 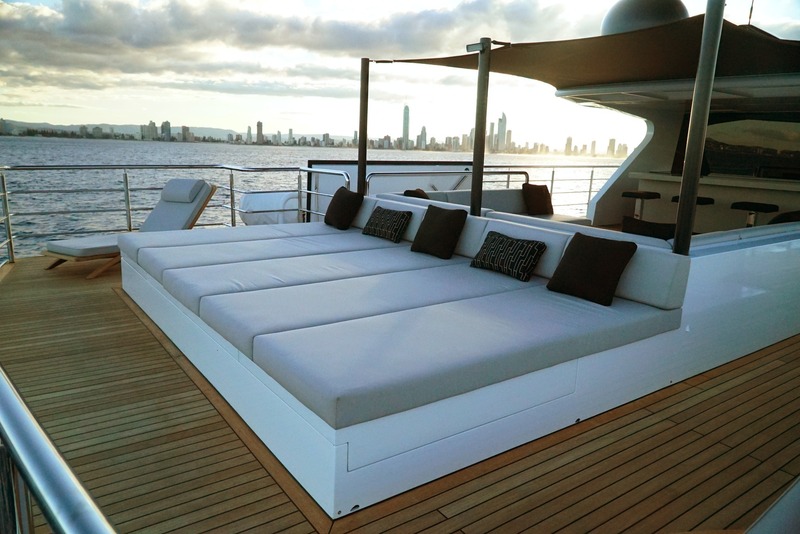 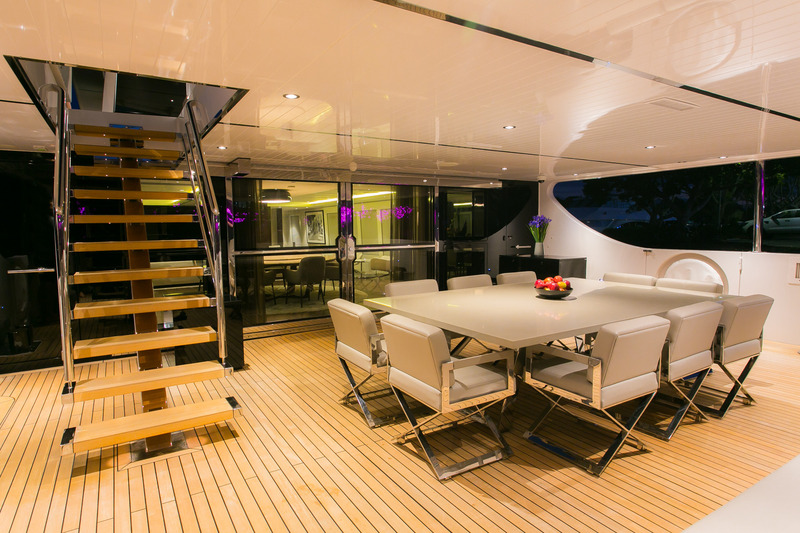 Side decks lead to the foredeck, where an additional seating area with table awaits. 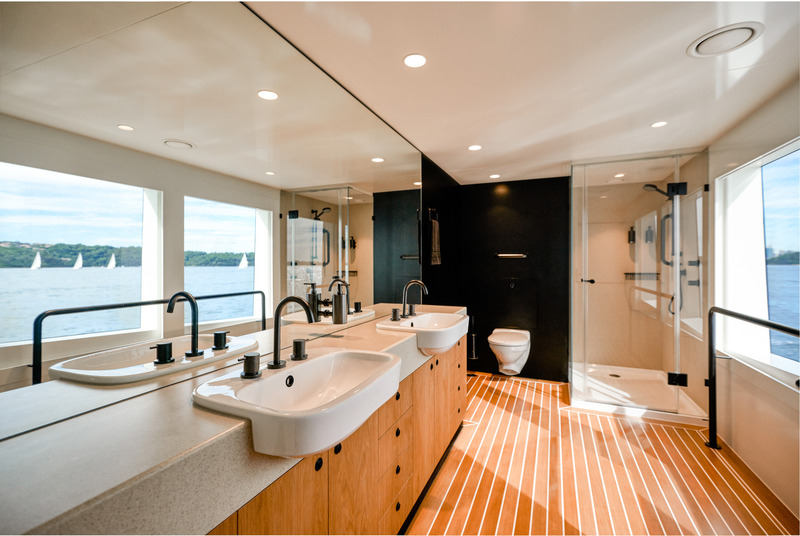 On the transom is a well-appointed swim platform, ensuring water access is effortless. 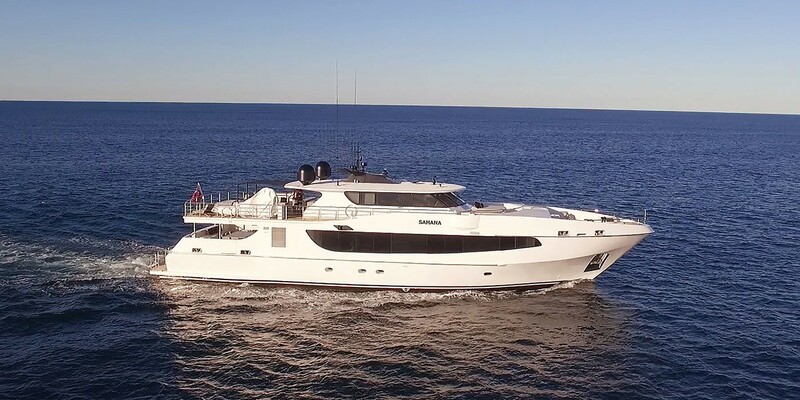 Equipped with a full range of toys and amenities including two tenders, snorkeling gear, dive gear including a compressor, fishing equipment, she has everything required to enjoy the best of the Great Barrier Reef and the Whitsundays. 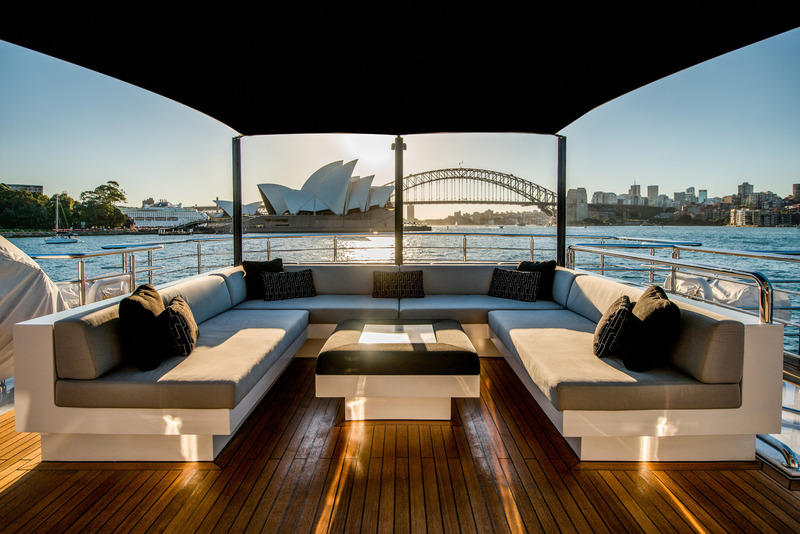 Motor Yacht SAHANA is serviced by a competent Australian crew of 6. 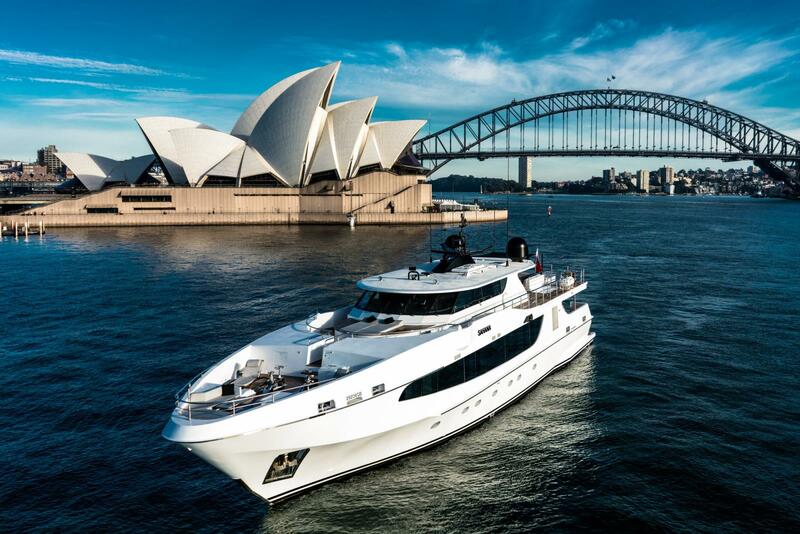 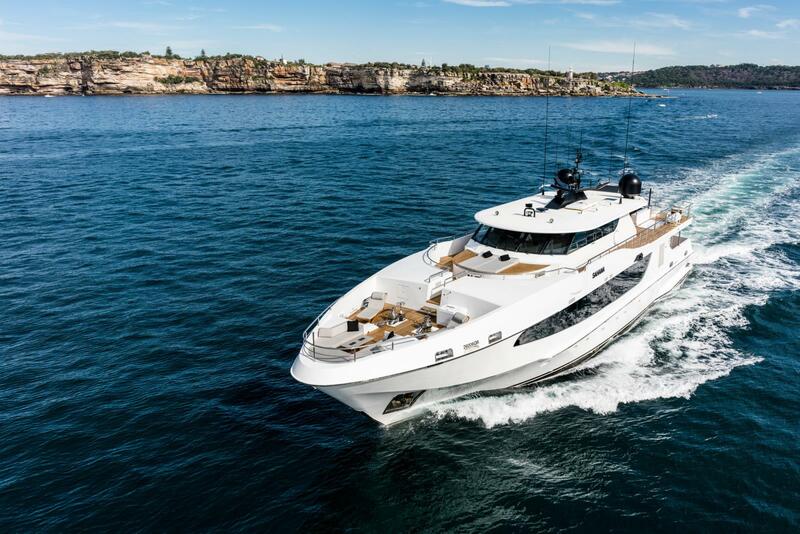 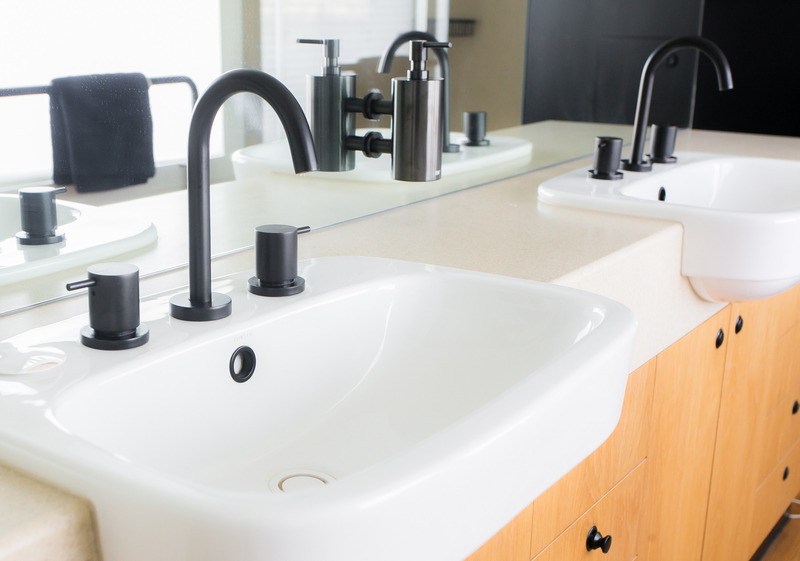 Premier luxury megayacht builder Oceanfast Yachts is based in Australia and owned by parent company Austal since 1999. 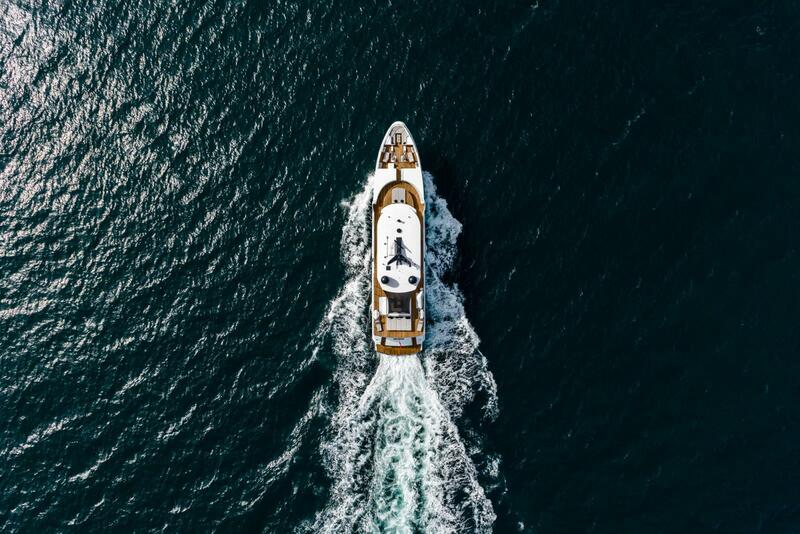 The company builds large luxury private motor yachts.